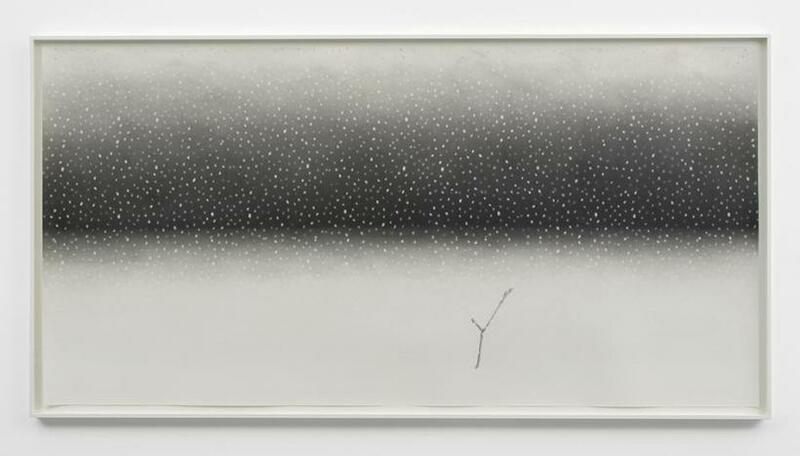 In a windowless white room on the upper level of Maureen Paley’s Bethnal Green gallery, a group of artists are engaged in a grand struggle with the cosmos, armed with skewed pedagogies and sharpened lead pencils. 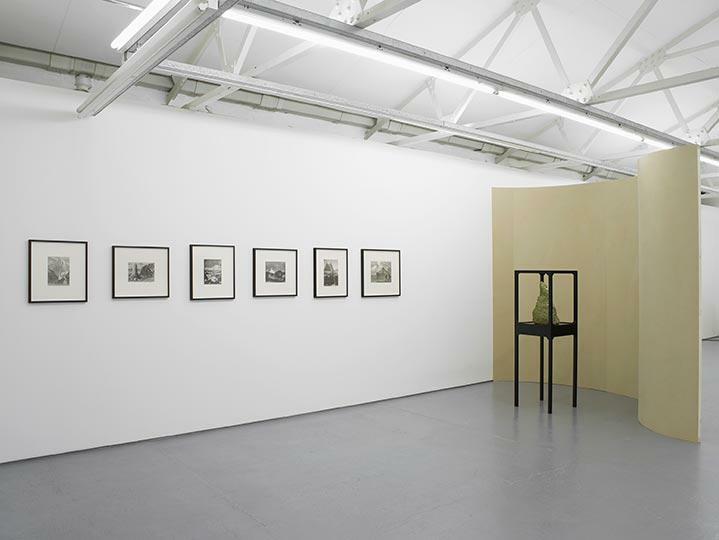 A group exhibition of the work of Salvatore Arancio, James Pyman and duo Rachel Cattle and Steve Richards, this is conceptual art at its most perversely referential. 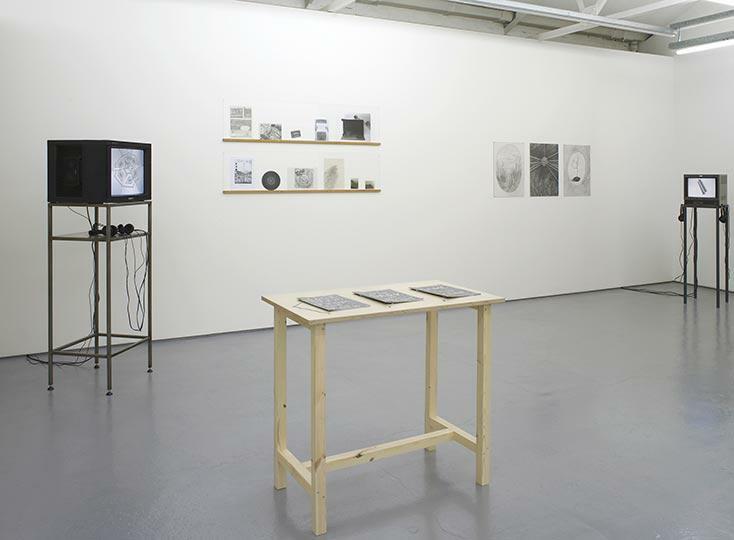 The result ranges from deliberate obfuscation to genuine enquiry, and the three installations featuring drawing, etching, sculpture and video amount to a taster selection of artists well worth watching. 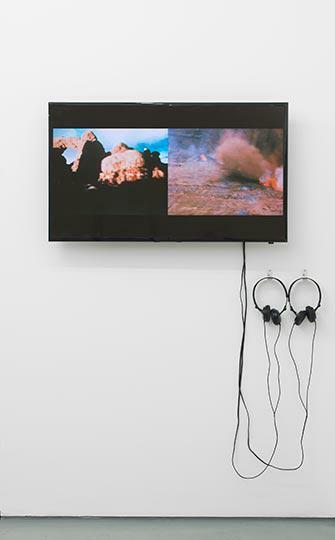 Linked by the intensely illustrative quality of the works on show (both aesthetically and in terms of narrative), the installations act as eclectic guidebooks to the artists’ interpretations of the natural world, through the application of media that is either antiquarian, defunct, or overtly lo-fi. 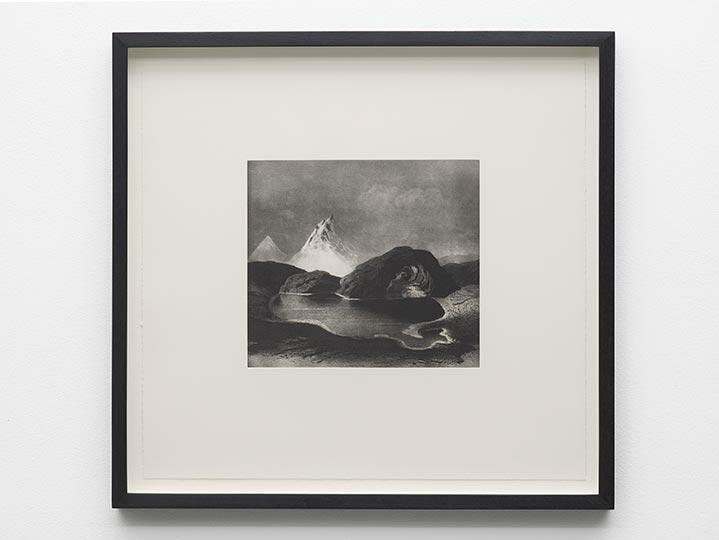 Salvatore Arancio presents a series of 19th-century etchings visualising volcanic rock formations - rejigged into implausible fantasies by Arancio’s digital tinkering. Accompanied by the grammatically questionable video work ‘We are a Way to Know Itself’ (2012) collaged from the cult 1980s Carl Sagan series ‘The Cosmos’ and set to a trippy new soundtrack, Arancio’s chimera of olde-worlde psychedelia is immediately engaging. However, there is little space for the ‘stranger than fiction’ among these landscape protrusions that wend a hazardous path between the phallic and the scatalogical (Arancio’s sculptures bear a striking resemblance to the inhabitants of Paul Noble’s Nobson Newtown). Conceptually rich and visually appealing, the work nonetheless fails to acknowledge how easily Nature could trump such whimsical re-imaginings of her masterwork. James Pyman is known primarily as a draughtsman, whose meticulous drawings outline nebulous ideas ranging from the conspicuously erudite to the pointedly popular - from Milton to genre fiction. 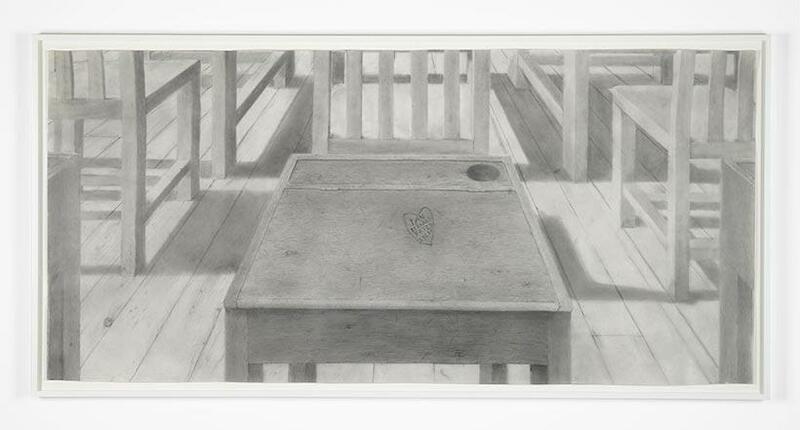 His work is represented here by three large-format pencil drawings: ‘1979’ (1995) which hones in on an empty school desk bearing the names of Joy Division in a carved heart, ‘Jackdaw’ (2006) which takes its title from Kafka’s family crest and is the most visually abstract and allusion-laden of the three, and ‘Song To Comus’ (2008’12) which attempts to immortalise the 1970s progressive folk band Comus in a composition so painstakingly photographic that the effort is simultaneously undermined and doubly emphasised. 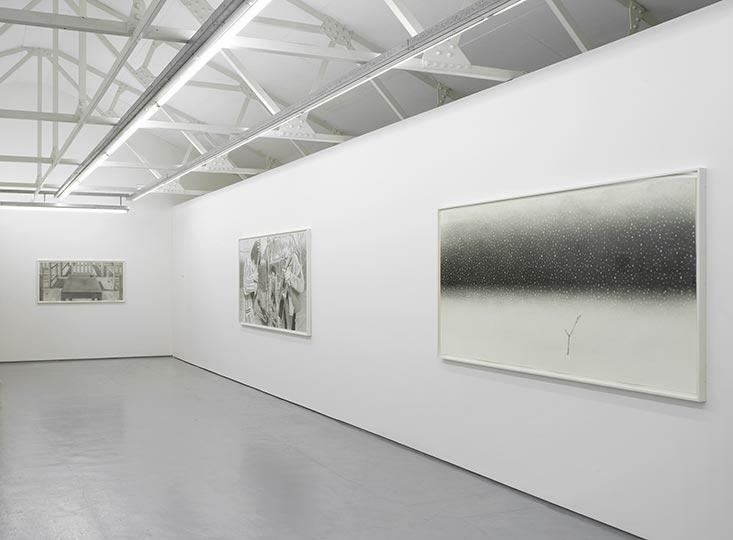 The most prominent of the four artists, Pyman’s work featured at the Hepworth Wakefield when he wrapped the adjacent mill building in an enlarged drawing of each of its walls (‘Upper Mill’, 2013). 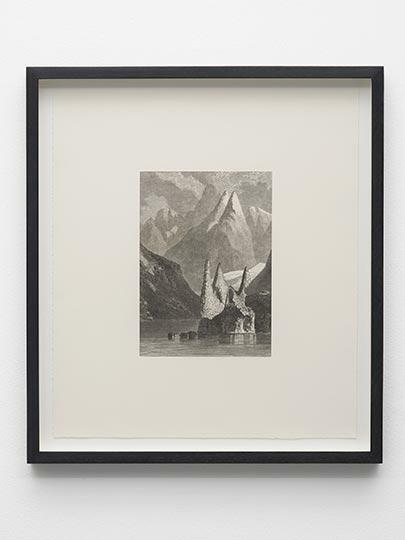 Playing on questions of verisimilitude, technical skill and defunct forms, Pyman’s drawings anchor the exhibition with a certain monochrome grandeur. Rachel Cattle and Steve Richards’ installation amounts to the debris of a wildly earnest brainstorm/maelstrom, in which anything deemed either intellectual and/or interesting is whirled together and spat out in the form of scribbly, filled-in drawings, photocopies, comic strip booklets and two video works. In a space of a few square metres we encounter William Burroughs, Stanley Kubrick, Buckminster Fuller, 16th-century cartographers, 20th-century philosophers, and all manner of forgotten academics, whose words are paraphrased into speech bubbles lardy with jargon. This peaks in the pop-culture pontifications of the hand-scrawled booklets, vigilantly chained to a table like monkish manuscripts. 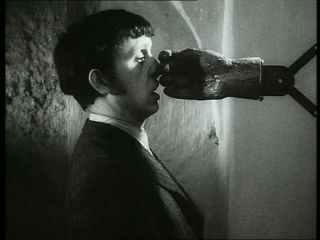 While Arancio taught us pleasingly warped histories of geology and Pyman re-lived schoolboy obsessions with Joy Division, Richards and Cattle put us in the shoes of a fervent adolescent, gorging on new forms of knowledge, from pop-culture to dry textbook tirades. Literalising everything to the last degree, the installation even features a pencil rendering of a copy of Jean-Paul Sartre’s ‘Sketch for a Theory of the Emotions’, complete with peeling laminate library sticker. The duo wields the power of the ‘conceptual claim’ with an enthusiasm that can become tiring, but there is a lo-fi lack of synchronicity that adds a certain charm to their work. This is dramatised in the two films displayed on cuboid 1990s TV sets, those inevitable emblems of lo-fi heroism. In ‘Cosmographia’ (2010) the famous aria ‘Ebben’ from the opera ‘La Wally’ is manipulated to mirror visuals of motifs from Kubrick’s ‘The Shining’ with varying success, while ‘Station to Station’ (2013) momentarily puts aside the theorising to indulge in a session of pure play. Ill-dubbed percussion emerges from twigs, conkers, railings; a line is traced around a leaf to the sound of radio waves tearing through space. Likewise, the exhibition as a whole is something of a dialogue of the deaf - one fully aware of the creative possibilities of chaos. In the small, enclosed environment, each artist is attempting to send out referential signals into the wider world, and the spectator is caught fly-like in the wires. Arancio makes long distance calls across time, medium and science, Pyman slips through the white noise of nostalgia, and in the case of Rachel Cattle and Steve Richards the phone is decidedly off the hook. Overall, the ethos of the show seems to fit with the current inclination towards elaborate, cyclical storytelling. 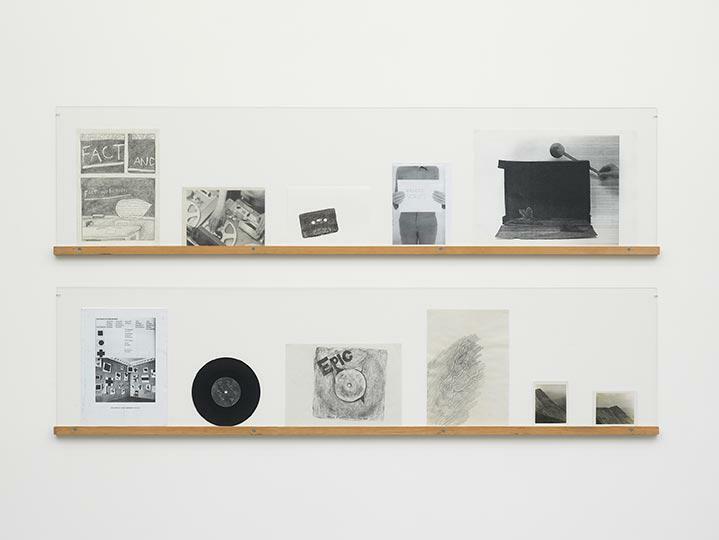 Turner Prize winner Laure Prouvost’s work is founded on stories that are short-circuited within their own imaginative confines, whilst Eva Kotátková‘s exhibition ‘A Storyteller’s Inadequacy’ at Modern Art Oxford physicalises the conundrum with a series of fantastical contraptions. In a Borgesian flight of fancy, Arancio has produced a wonderful ‘skewed tribute edition’ of an obscure 19th-century geology book titled ‘Wonders of the Volcano’, in which the original text is maintained, the etchings altered as though to match the purple prose. 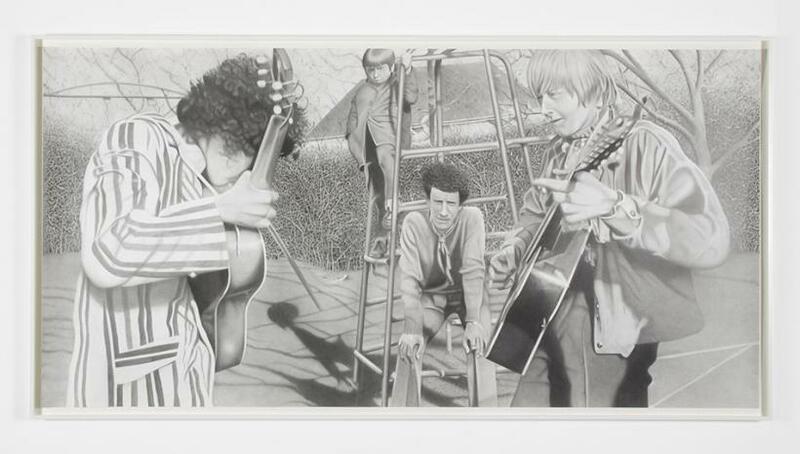 Similarly, Pyman has worked on a series of projects based on marginalised forms of publishing such as newspaper cartoons, football annuals and children’s books. His illustrated edition of ‘Dracula’ was published in 2008, with the drawings exhibited at Maureen Paley in 2010. The inclusion of some of these publications would have added an interesting dimension to the show. Maureen Paley is one of contemporary art’s primary tastemakers, and this exhibition acts as an intriguing set of synopses. I look forward to a series of solo exhibitions giving these artists the space to sound out the boundaries of their imaginative universes.